We’re constantly confronted by before and after shots. 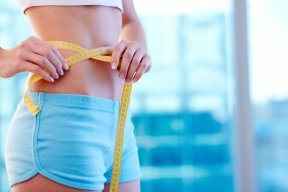 People who’ve “changed their bodies in six weeks” or “got their pre-baby body back.” But how long does it really take to lose weight? Here’s the science behind weight loss. Seeing the scales flash four pounds in a week doesn’t necessarily mean all your hard work is paying off. 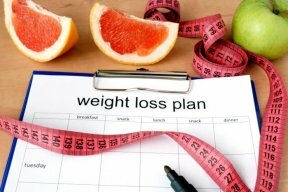 There are three explanations for weight loss: losing body fat, losing water and losing muscle. With a balanced diet and regular physical activity, you’ll most likely shed fat and preserve lean muscle tissue (ideal world). However, if you’re more focused on your calorie restriction or following the latest fad diet at the expense of exercise, then you’ll lose all three components, but most likely more muscle and water. This may appear great on the scales, but the results are never long-lived. Why? If you regain the weight, more fat and less muscle is replaced. Then once you come off the diet your body thinks another famine is coming and works hard to store away whatever energy it can — most likely as fat. You are left with a body that jiggles instead of one that is toned. If you’ve noticed losing weight gets tougher with age, you’re not wrong. As you get older your body loses muscle mass, which slows your base metabolic rate (the rate at which it burns calories). But that’s not the only age that affects weight loss. Your fitness age — the number of years you’ve been physically active for — determines your base level physique and the speed at which you shed pounds. If you’re new to training (or overweight) and start exercising three to four times a week and eating healthily, then you could lose up to four pounds a week. Alternatively, if you’ve been training three to four times a week and eating correctly for a while, you’ll probably lose weight at s steadier pace. Everybody is individual. Not one size fits all. You can train and eat exactly like someone else and have entirely different results. While most experts would agree that one to two pounds a week is realistic, the truth of the matter is that slow and steady wins the race. Not the message you really want to hear, I know.